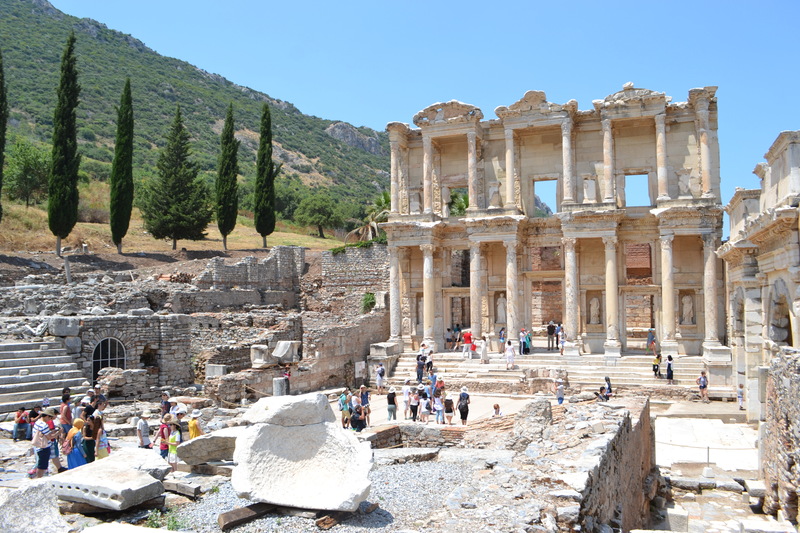 My first stop in Turkey was Selçuk, a town in the Izmir province, known for being home to the ancient Greek city of Ephesus and other ancient archeological sites like the “House of Virgin Mary”, the “Temple of Artemis” and “St John’s Basilica”. Upon arrival we were welcomed by heavy rain which we were not prepared for, so we made our way running from the train station to the nearest restaurant we could find. 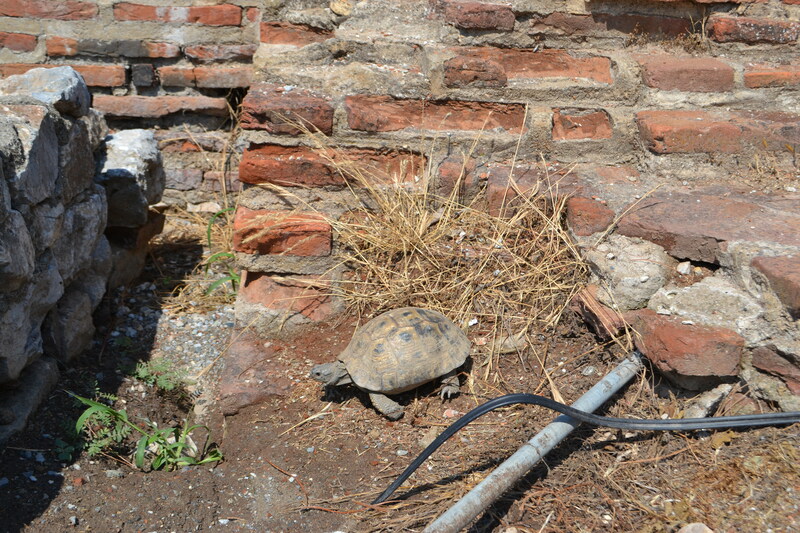 Turns out, we had found the main square and our hostel was just a few blocks away. 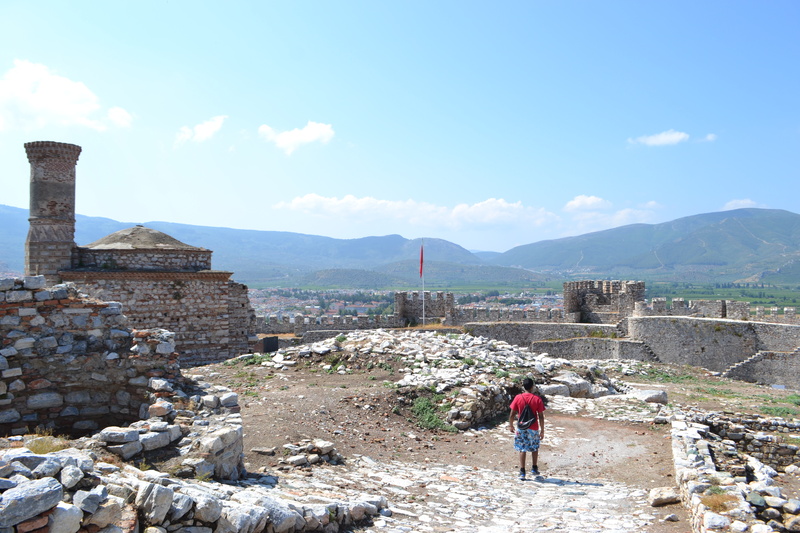 What I’m getting at here is that Selçuk is pretty tiny and you can easily walk around town in a day.But I liked it, people were friendly, the food was good and the place was interesting. 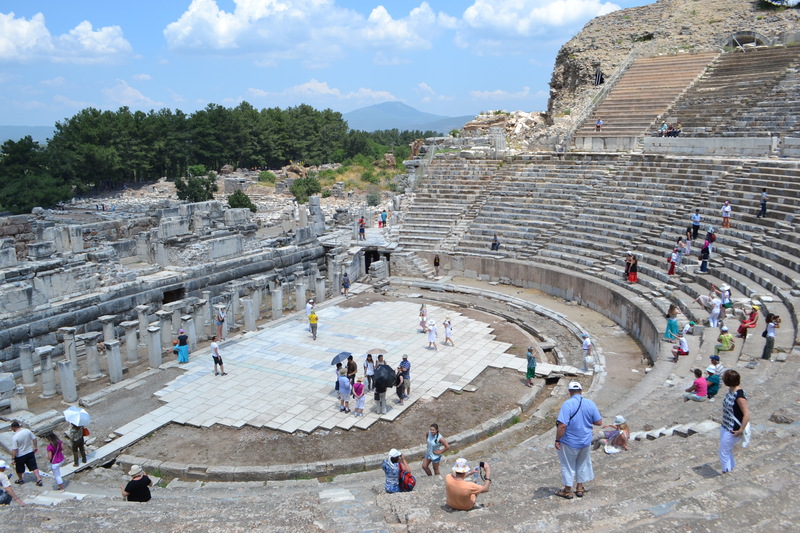 Plus staying in Selçuk is a good base to make day trips to Pamukkale or the beach such as Bodrum. 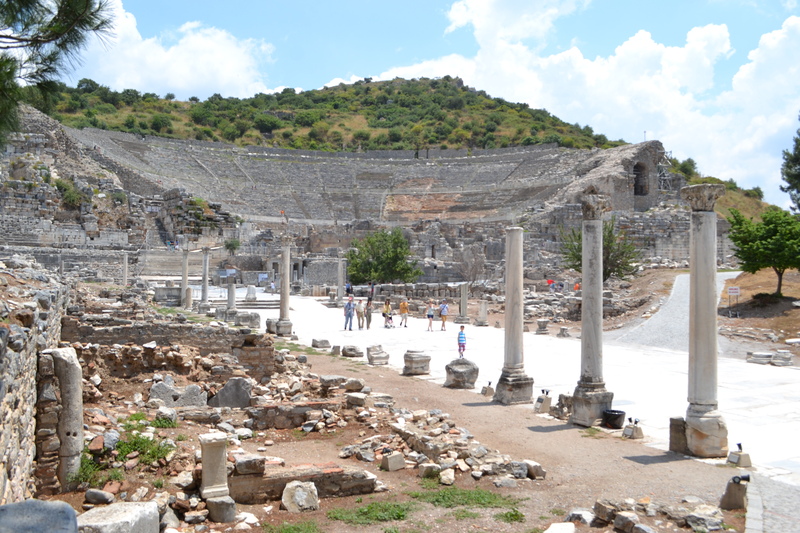 Ephesus is one of the most important tourist attractions in Turkey. 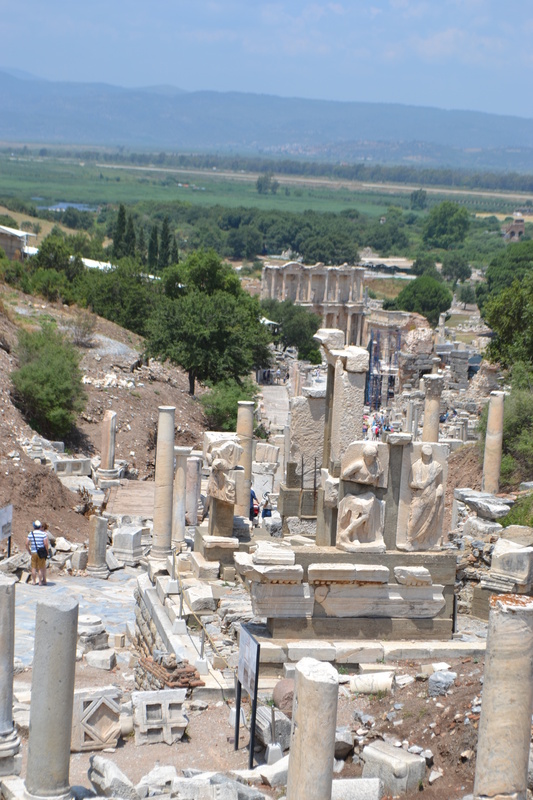 I personally I’m not a big fan of ruins, but I can compare it to the famous Acropolis in Athens and in my point of view, Ephesus has much more to offer. This city had everything , from houses , cemetery and theatres to a library and even a brothel!. 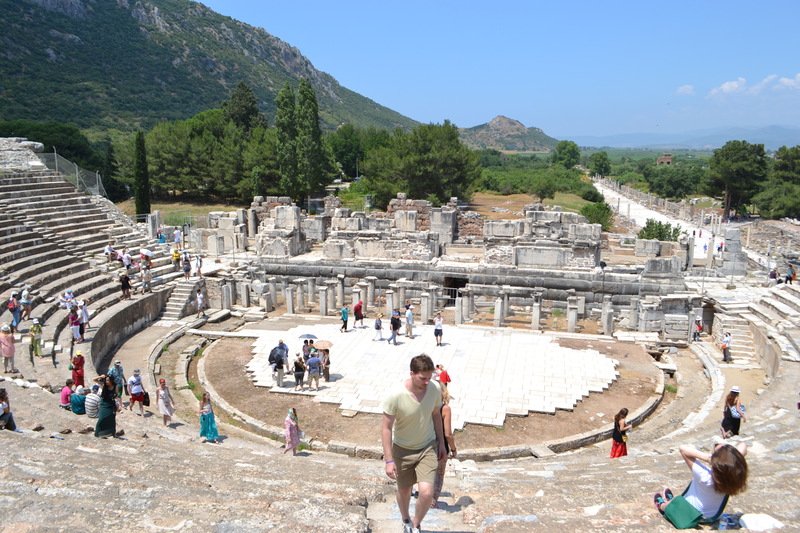 To get to Ephesus you can take a short dolmus ride for 2.5 liras (a taxi van) and entrance to the site is 30 liras. ← Turkish food you say? Delightful!